California Rabbit Rescue View other Rabbits for adoption. LuLu was dumped and rescued along with 6 other rabbits on April 1, 2015 at a park that is monitored daily where frequent rabbit dumping occurs. 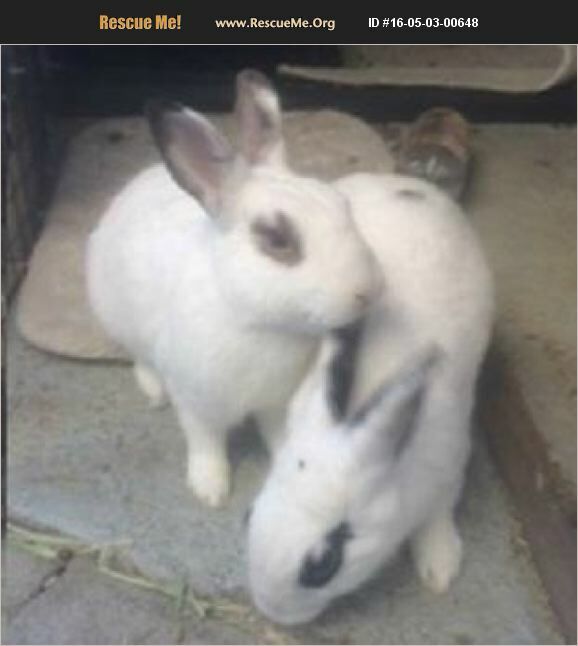 She is spayed and is the rabbit on the right. She is bonded with Charleston, the rabbit on the left. The pair needs to be adopted together. They are friendly, loving and active. Please email for an application or send your phone number for a call back. Delivery available to any location in the greater Southern California area upon application approval so don't let distance deter you from loving this pair.